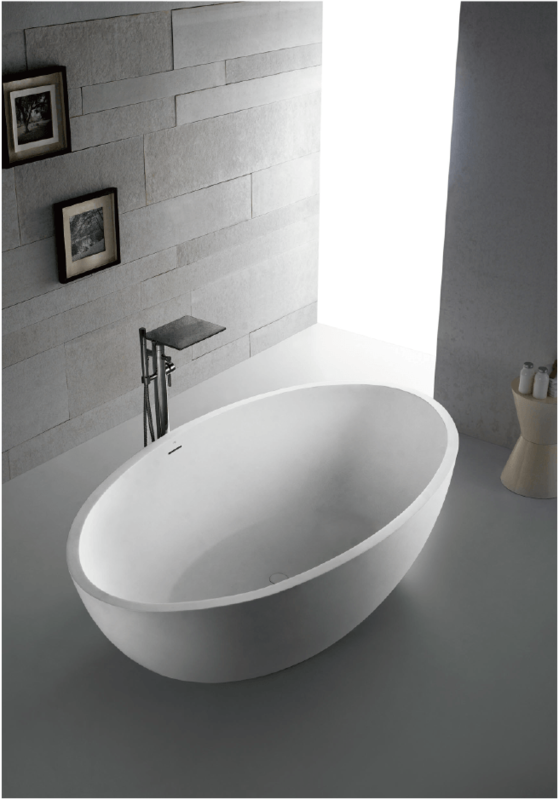 Surround yourself with tranquility and comfort in the freestanding center Drain Soaking Tub from Aqua Collection. 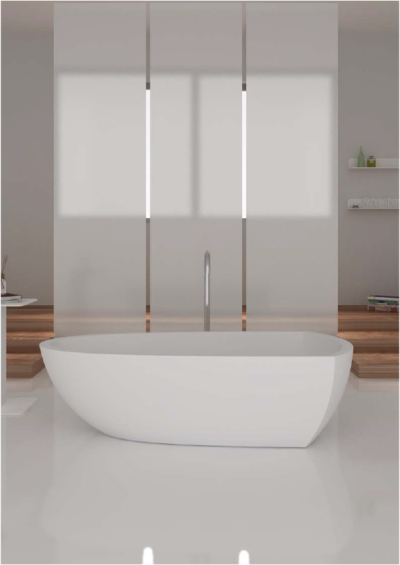 Combining luxury with practicality, the oval, ergonomic design conforms to and supports your body as you stretch out and enjoy a deep, relaxing soak. 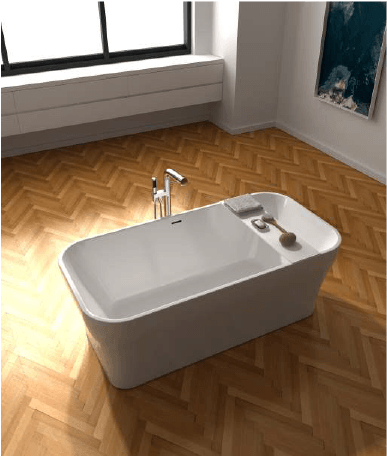 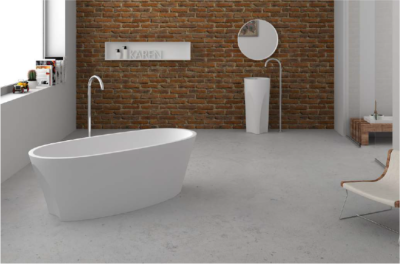 With its gracefully shaped lines and elegant profile, this versatile tub complements a wide range of bathroom styles and offers easy installation while creating a stunning focal point for your bathroom. 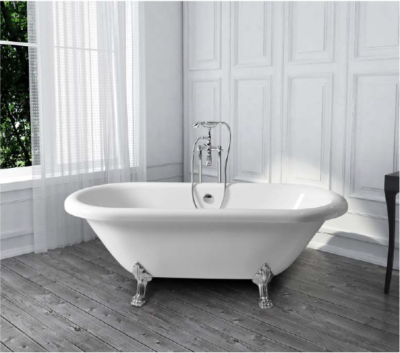 Orton offers a variety of relaxing bathtubs, freestanding tubs, whirlpools, air baths and walk-in tubs to suit your individual needs. 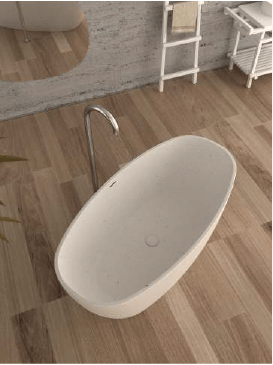 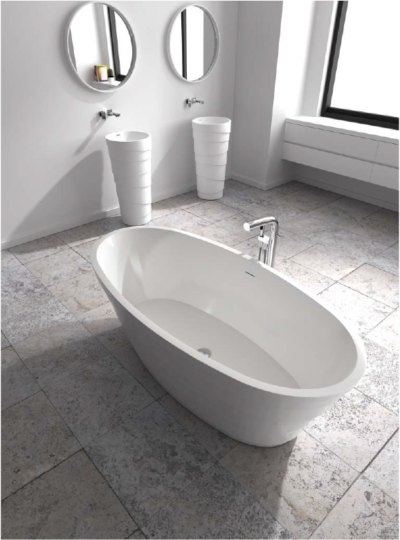 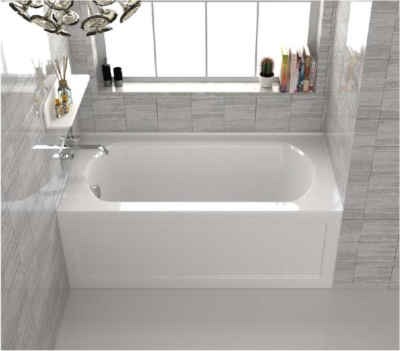 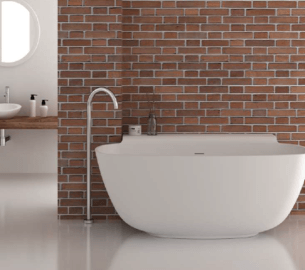 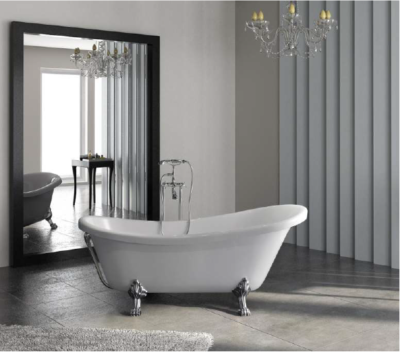 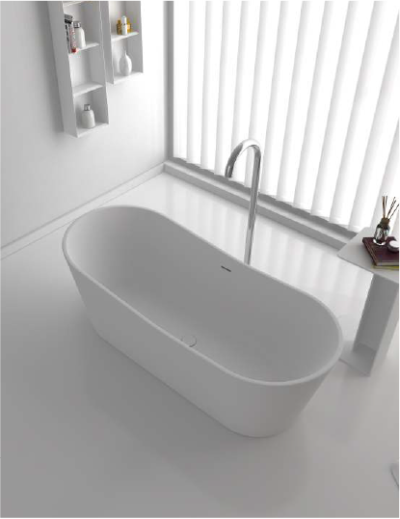 Add style and relaxation to your bathroom with a new bathtub!